1984 1985 Suzuki RM 80 Plastic Kit. Manufactured from high density polyethylene plastic. All of our plastic has a satin finish. Please read our FAQ page for all questions. 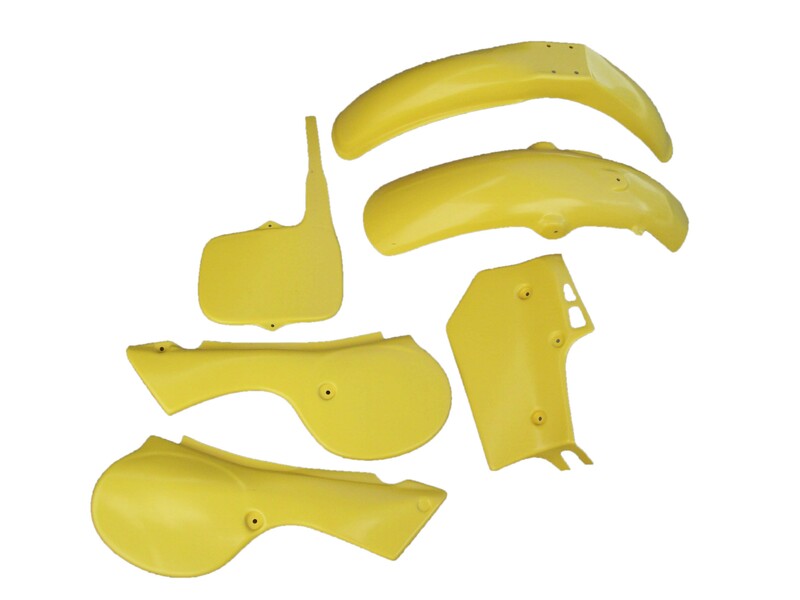 This kit includes the front fender, rear fender, front number plate, side panels and radiator shroud.